1. d4 d5 2. c4 c6 3. Nf3 Nf6 4. Qc2 g6 5. cxd5 cxd5 6. Bf4 Nc6 7. e3 Qa5+ 8. More than five foreign GMs have entered, so the $800 minimum prize is no longer offered to other foreign GMs. 9 round Swiss, 40/90, SD/30, inc/30, Sheraton Philadelphia City Center Hotel, 17th & Race Streets, Philadelphia PA 19103. See World Open for room and parking rates. Guaranteed prize fund $8000: $2000-1200-800-700-600-500-400-300, top FIDE under 2300 or unrated $1000-500. 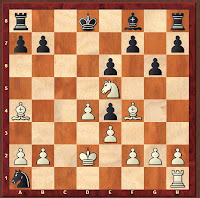 IM & GM norms possible; FIDE rated. Foreign FIDE rated players: $125 if check mailed by 6/18, $127 online by 6/23, $150 at site, or online until 10 am 6/29. USA current/former 2200/up players: $225 if check mailed by 6/18, $227 online by 6/23, $250 at site, or online until 10 am 6/29. Others: $325 if check mailed by 6/18, $327 online by 6/23, $350 at site, or online until 10 am 6/29. All: No checks at site, credit cards accepted. Mailed credit card entries not accepted. Special 1 year USCF dues with paper magazine if paid with entry- online at chesstour.com, Adult $30, Young Adult $20, Scholastic $15. Mailed, phoned or paid at site, Adult $40, Young Adult $30, Scholastic $20. USCF membership is required, except for foreign GMs, IMs, WGMs and WIMs. Late registration at site ends Thu 10 am, rounds Fri through Mon 11 am & 6 pm, Tue 11 am. Two half point byes available (must commit before rd 2); norm not possible if taking bye. 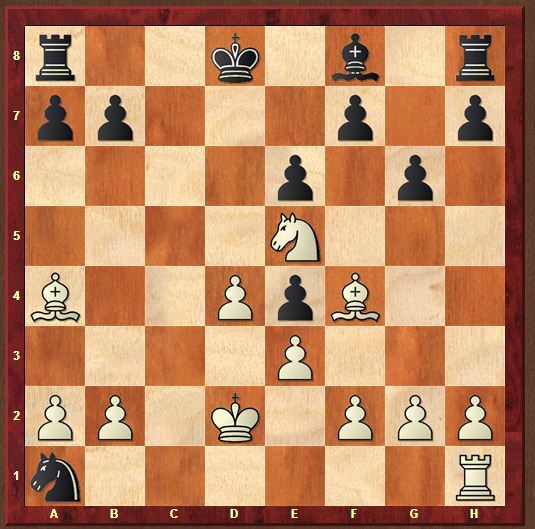 Note error in December and January Chess Life: the days of this event are still Friday through Tuesday, but they are June 29-July 3, not June 28-July 2! 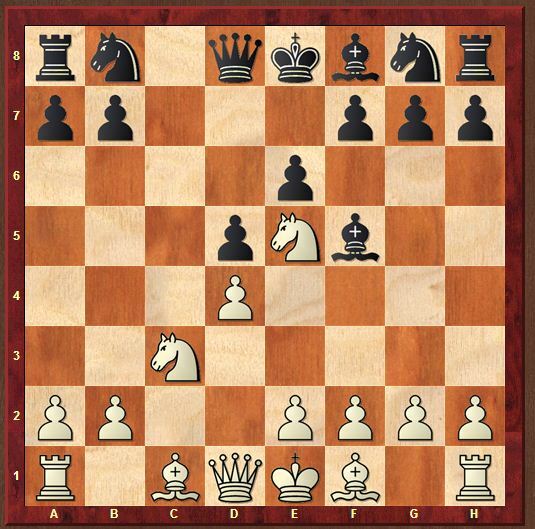 Entry: Continental Chess, PO Box 249, Salisbury Mills NY 12577. $15 service charge for refunds. 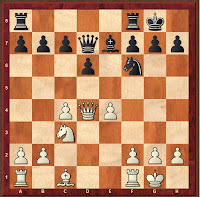 Questions: ChesstourAtAOL.com (use @ instead of At), 845-496-9658, www.chesstour.com. Advance entries posted at chesstour.com. Chess Magnet School JGP. PLEASE NOTE: Last year this event had a very poor turnout, including only one foreign GM, because hotel rooms sold out almost two months before the tournament. This year we have more rooms reserved, have offered more to foreign GMs, and expect a larger and much stronger field, providing good chances for GM and IM norms. The young chess whiz has garnered numerous trophies since he was introduced to the game as a five-year-old, standing out from his peers at Sts Peter and Paul Preparatory School and among other local chess players in his age group. Barrett has won several age cohort competitions, including the 2010 Jamaica Chess Open, the 2010 Frederick Cameron Chess Open, as well as the recent Robert Wheeler Open Chess Tournament, in which he placed first among competitors in the rating category 1200 to 1399 across all ages. 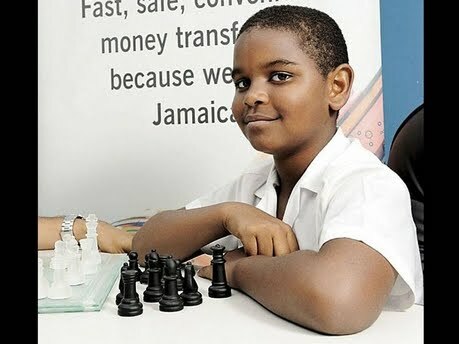 He also placed third in the 2011 Junior Orange Bowl Chess Tournament in Miami, Florida. And now he's ready for an even bigger challenge on the international scene, where he's also likely to face much older rivals. With assistance from JN Money Services Limited (JNMS), which operates the popular JN Money Transfer brand, Leighton will participate in the annual World Open Chess Championship - with some 200 competitors - from July 4-8 in Philadelphia, Pennsylvania, in the United States of America. He departs the island for the championships on June 27. And, if there was any doubt that he was ready, his sound beating of Gabriel Heron, marketing and business development manager at JNMS, in a mere 10 minutes, on a recent visit to the company, spoke volumes about his skill and confidence. "I'm feeling good. I'm feeling like a champion," he stated, his shy smile broadening as he was quizzed about his confidence level. Barrett will join other avid chess players from around the world in the 1200 international rating category, competing for a US$5,000 prize. "With his great love for the game that makes it a lot easier for me to help him prepare," his coach, Adrian Palmer, comments. "This will be his first time playing at this level. Therefore, I hope he won't be nervous, which may affect his thinking ability. Once he does what he is supposed to, he should be in the top 10," Palmer declared, adding that the tournament will determine his playing strength. His mom, Marjorie Barrett, is confident about her son's ability. She recalls introducing him to the game at age five, after he observed his older brother playing at the Wolmer's Preparatory School Chess Club. Young Leighton took a keen interest in the game; and currently he dismisses his 14-year-old brother in a mere three minutes. "Chess is the thing he loves most," she acknowledged, noting that the Pennsylvania tournament will require all his passion for the sport. "I want him to do well, I want him to be in the top five at least. I hear it can be very tricky because you have some really serious competitors from the US and other countries and he will be playing against older persons. However, we are hoping that he will be confident and come out on top," an optimistic Barrett added. 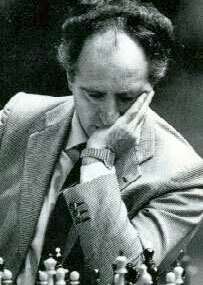 She indicated that, despite long hours of practice, Barrett maintains a high average at school, scoring 90s and high 80s across his subjects. He practises about six hours to nine hours per week with his coach and spends about two hours daily playing the game on his computer. 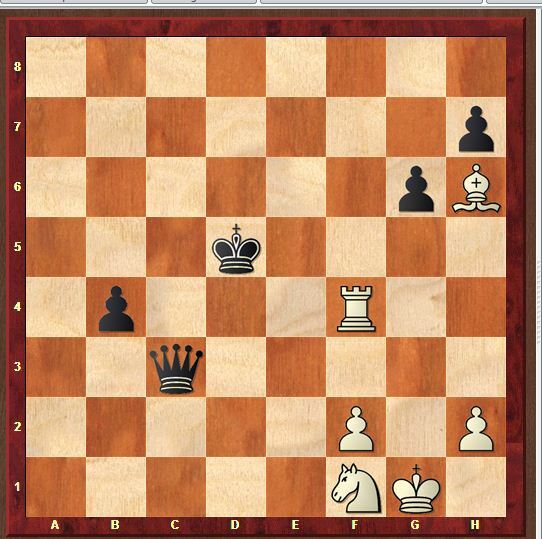 "If he continues along this line, there is a great possibility that by the time he is 14 or 15 he should be a National Master," Palmer reasoned, as he also took a thrashing from his protégé during a game. "Leighton is an unbelievable talent and we could not pass on the opportunity to contribute to his continued development," says Leesa Kow, general manager, JNMS, during a presentation to Barrett at the company's Trafalgar Road offices in New Kingston recently. "As a remittance company, we believe wholeheartedly in the development of people, particularly through education, and we see chess is more than a sport; it challenges the mind and inspires our children to be innovative," she underscored. "Accenture - Return on Analytics' A discriptive and explanatory lecture by World Champion V. Anand. In this lecture he explains chess patterns, the role of computers in chess studying, game solving techniques etc. Anand also, showed secrets of his preparation strategy. India dominated the Asian Youth Rapid Chess Championship held on June 25, 2012 in Hikkaduwa, winning eighteen medals (5 golds, 8 silvers and 5 bronzes). Six out of eighteen medals of India came from the Under 12 age category where they managed to win all the medals in both Open and Girls sections. Harsha Bharathakoti won the gold in the Open section while Savant Riya secured the gold for India in the Girls section. India also won the gold medal of the under 14 open category with Fide Master (FM) Aravindh Chithambaram while Shania Mendoza of the Phillipines won the Girls event. The other gold medals were won by N.Priyanka (Under- 10 girls) and Sanskruti Wankhade (Under - 6 girls) for India. Vietnam also performed well, grabbing 7 medals including 4 gold medals. The Nguyen brothers of Vietnam dominated their age groups winning gold medals in their respective age groups; the younger brother H.M.T.Nguyen winning the Under 8 Open while the older, A.K.Nguyen, won the Under 10. Their elder sister Hung Nguyen secured the gold in the Under 18 girls category. China also secured two gold medals in the tournament, Zhao Zhouqiao won the gold of under 18 Open category while Xiao Yiyi also earned a gold for China winning the under 16 Girls category. The hosts, Sri Lanka won two medals with Omaya Jayathilake of Gateway College, Colombo winning the silver medal of the under-6 Girls category and Harshana Thilakarathne of Maliyadeva College, Kurunagala wining the bronze medal of under - 10 open category. The main event, the Asian Youth Chess Championship will start on the 26th of June. The tournament is organized by the Chess Federation of Sri Lanka in association with the Asian Chess Federation. CHENNAI: Viswanathan Anand on Tuesday expressed disappointment that his first major assignment after winning the world title -- The Kings tournament in Medias, Romania -- has been indefinitely postponed. The tournament was supposed to be held from June 23 to July 4, before being postponed by the organisers. "Emotions are still fresh having won the World Championship, a tough one at that. It was most disappointing. I was geared up to playing in it and now I have to cool my heels for the next one. Always you want to get back and play again," said Anand. The 2012 tournament in Medias was to be the sixth edition (being held in Bazna until last year) and was set to include a strong 6-player double round robin line-up headed by last year's winner and world No. 1 Magnus Carlsen of Norway and world champion Anand. The other players were Teimour Radjabov, Sergey Karjakin, Vassily Ivanchuk and top Romanian player Liviu Dieter Nisipeanu. Anand was on Tuesday made the brand ambassador of TVH, one of the major players in realty market in Southern parts of India. "It was my first chance to do it after the world championship. You cannot live with World Championship alone. You have to put that aside and play some tournaments and I was trying to get in to my frame of mind as well. "But, suddenly it has been postponed. That was disappointing when I got the news." The thought of getting to play in tournaments starting from this September to January next year, however, seemed comforting. "I will get to play still in tournaments starting from Bilbo event in September, London in December and another one in January. So, I still get to be ready for that. For three months or so you don't keep the fire burn in you, you get prepared well for these events." Talking about his association with TVH as its brand ambassador, Anand said, "I have been a TVH customer for seven years. That was a positive experience. And a month or two ago they approached me and I was happy to accept their offer. "I felt that TVH reflects lot of values of myself. 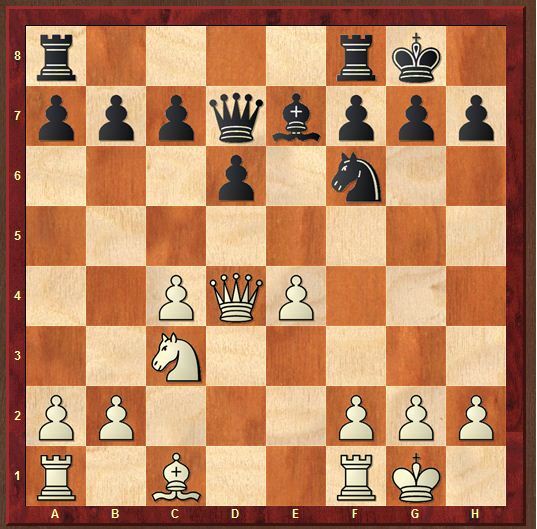 I like my chess to do the talking and not my words and TVH also let their projects do the talking. We both strive for excellence and therefore I was excited to join the TVH family. "I am sure that we will do some interesting things together including some chess. It is a wonderful beginning." Asked if he was worried signing endorsements like this, Anand said, "I think that you always endorse a company that share your values and approach things. Endorsements are considered exciting." Ravichandran, chairman of TVH, said, "We were on the lookout for a brand ambassador for some time and in Anand we found the perfect answer. All our customers will swear by our quality and ethical approach. TVH is entering into a new market segments by launching Quadrant, a super premium project in posh Adyar areas in Chennai. 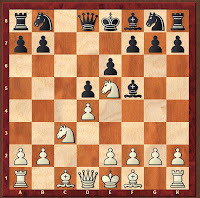 1st International Chess Tournament 'Paleros 2012' Started on 16/06/2012 till23/06/2012. The 9 rounds were played among the 61 players from Greece, Estonia, romania, Serbia, Slovenia, Sweden and Switerland. IM vladimir Zavorankov won the tournament with 7.5 points and Ilarion Darfanis finished 2nd with 7 points.